Three Civilians, 1 Indian Soldier Killed in Kashmir Fighting - Integration Through Media ....! 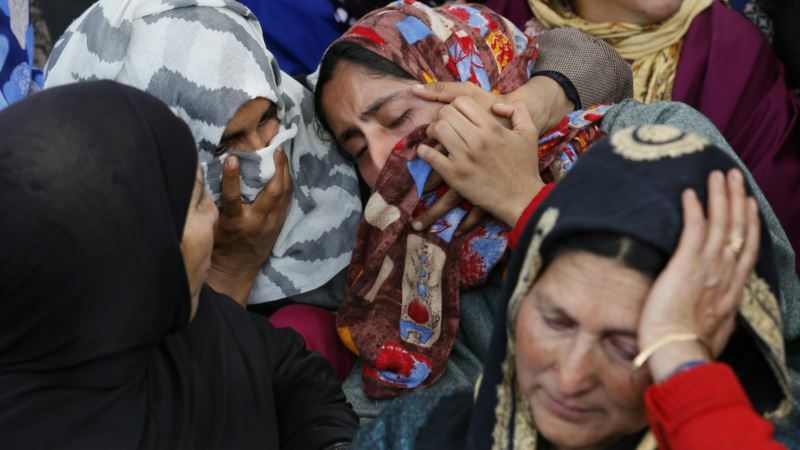 (VOA): Three men were killed in Kashmir when government forces fired on anti-India protesters who thronged a village where soldiers battled a group of militants, officials said Wednesday. One soldier was also killed in the fighting. The violence began overnight when Indian soldiers cordoned off the southern village of Khudwani on a tip that rebels were hiding there, police said. After fighting broke out between soldiers and militants, anti-India protests erupted in Khudwani and neighboring villages, with stone-throwing protesters marching toward the gunbattle. The protesters, shouting slogans eulogizing militants and demanding an end of Indian rule over the region, were marching in solidarity with the militants and to help them escape the security cordon. Government forces fired rifles, shotguns and tear gas to stop protesters from reaching the gunbattle. Three men were killed and at least 20 civilians injured. Police said one soldier was killed and at least two other soldiers injured in the battle. They said the bodies of at least two suspected militants were under the debris of two houses. According to local residents, soldiers blasted the two houses with explosives. Several clashes were also reported from other areas in Kashmir. In Srinagar, the region's main city, police fired tear gas to stop students from marching in the main business hub in the city. Wednesday's violence comes as the region had recovered from days of anti-India protests, a security clampdown and a shutdown sponsored by separatists following deadly fighting between Kashmiri rebels and Indian troops on April 1, killing 13 militants and three soldiers. Five civilians were also killed in the subsequent clashes with government forces. In recent years, Kashmiris, mainly youths, have displayed open solidarity with rebels and sought to protect them by engaging troops in street clashes during military operations.